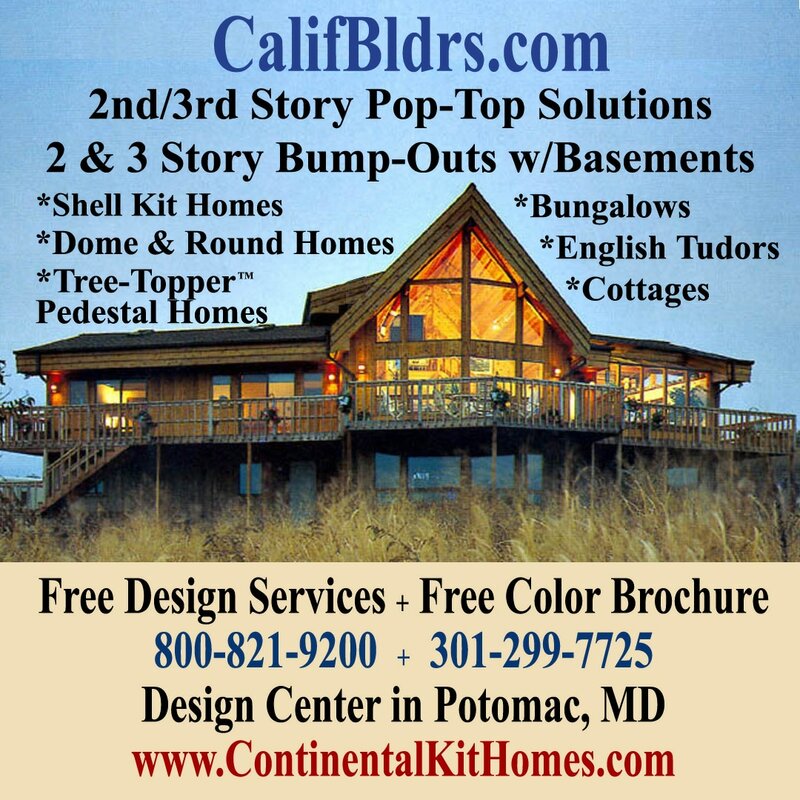 HOME - California Builders Inc. If you would like to enhance your home quickly, while also saving money, then our exclusive owner-contractor program is what you need for a custom designed weather-tight shell kit home. California Builders specializes in economical second- and third-story pop-tops and two and three story bump-out additions. We rebuild and renovate older homes over their existing foundations and also custom design and construct many different styles of homes, cabins, cottages, as well as contemporary or Victorian revivals. We also manufacture kits for round, geodesic dome, and pedestal homes. Through our affiliate companies, we provide services such as- but not limited to- converting older crawl space foundations to new hand-dug full basements, renovating aged kitchens by installing oak or maple cabinets and granite countertops, along with custom built indoor heated pools. Bring us your plans or choose a design from one of ours! California Builders offers free design and engineering services on any one of our projects. Our service quality is ensured and backed by a full one-year warranty with any construction we are employed to do. We sub-contract licensed professional engineers for the permitting process to speed up and eliminate obstacles for building permits and our project designs are in line with the latest International Residential Building Codes. California Builders can help you arrange for the financing of your project at reasonable rates, with minimum down payment, through our privately held funds. If you buy a product from us, you can pay us directly! The equity in your property is used as your collateral. If you wish, we could also refer you to qualified mortgage brokers with access to low interest rates. If you are looking to upgrade your home quickly and affordably, then call us at (301) 299-7725 or 800-821-9200 (toll-free US) and make an appointment. Also come visit our Design Center in Potomac, MD. We’re just ten minutes from Georgetown and only three miles from McLean, VA. Near exit 41 off the MD. Beltway (I-495). We are open to potential clients by appointment only.